Getting online is one of the fastest ways of reaching the masses and growing one’s business. This necessitates the need for having dedicated or cloud-based servers. Almost every business intends to or proposes to go with data centre or cloud server-providing companies, so that the business can cut down on its investments in heavy equipment and also on the costs relating to operations. All kinds of online and offline hosting needs are catered to by the service providers in lieu of certain monthly, quarterly or yearly fees. Amcom is one such leading name in the world of Australian off-site IT management. With years of experience, a strong professional team, intelligent network and flexible business plans, Amcom aims at providing data storage services to the businesses. Businesses often depend on the cloud servers, as they find them more convenient and productive in comparison to the data centre servers. This may be true to a certain extent and for certain businesses, mainly depending upon the scale and degree of operations. 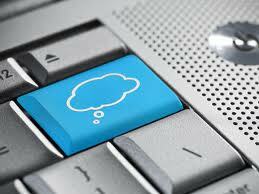 The cloud services are mostly at the mercy of the hypervisors and the hardware platform they operate on. Business owners can often increase or reduce the RAM, hard drive storage and the CPU power through remote software applications; however, the cloud servers do not perform as well as the data centre servers do. The data centre services are much safer, secure, reliable and cost effective in the long run. Businesses often feel apprehensive about making a shift from their on-site data centres or cloud servers to the Amcom data centre servers. Amcom, with its largest and the fastest fibre-optic network, proves to be one of the best data centre services for businesses belonging to the Australian IT sector. There are innumerable advantages in making a shift to Amcom data centre services; reduced cost for on-site data centre infrastructure being the most prominent one. The professional staff at Amcom makes use of the best infrastructure, platform and connectivity to provide all-inclusive IT equipment hosting services to the business clients. No matter whether it is on-site, managed or hosted server solutions, Amcom professionals make use of their extensive experience and proven capabilities to deliver long-lasting benefits to the businesses. Amcom data and cloud servers provide fully secure and future-proof solutions to complete IT hosting needs of the businesses. The business information is protected through high-grade security systems and techniques. The access to the data centres is controlled and monitored by 24/7 video, as well as manned surveillance and high-tech business access systems. Precise cooling systems, backup generators, UPS systems and green mains power management ensure 99.9 % uptime guarantee of the equipment. The data centre services are located at multiple locations and can be chosen depending upon the personal requirements. The equipment at each data centre is made future-proof by regular upgrades, and the needs of customers are met through high-speed connections with the business equipment. This ensures maximum performance and helps businesses save on heavy expenditure that may incur on updating the in-house equipment and infrastructure from time to time. Amcom provides software-based data management feature to businesses for accessing their data safely. Various other business tools and additional analysis ensure that the business IT equipment hosting needs are not compromised with. So, the companies who have dropped the idea of shifting their data to the data centre servers because of several apprehensions, Amcom data centre services provide the required solutions to all their business needs and wants. No scope of apprehensions is left by the Amcom professionals in providing peace of mind to the businesses and enabling them to focus on other vital aspects of running a business.